The churchyard of All Saints' Church, Narborough, contains 18 Commonwealth War Graves. One burial is from the Second World War, and of the remainder 14 are for airmen from the First World War. 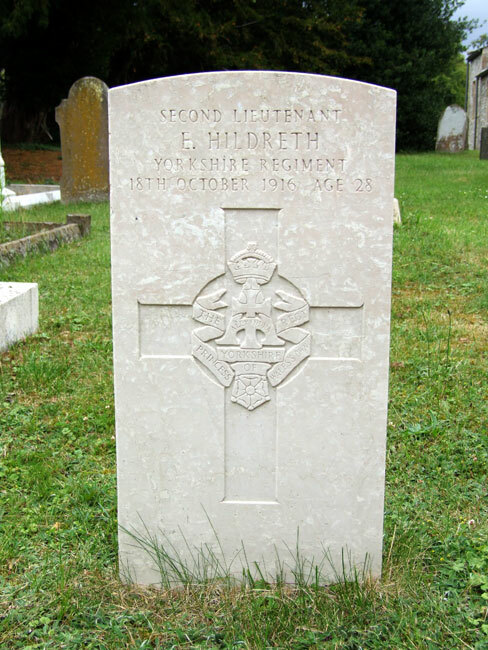 Amongst the burials is that of 2nd Lieutenant Ernest Hildreth, originally of the Yorkshire Regiment. 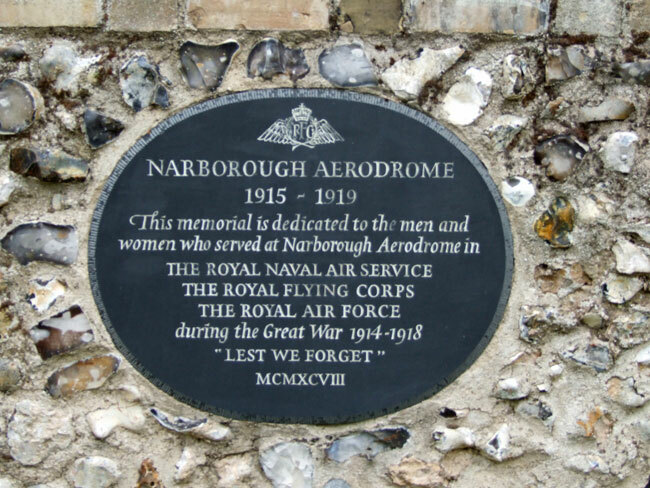 Narborough Aerodrome was the largest airfield in Britain in the First World War. Opened in May 1915, it was originally used as a Royal Naval Air Station to defend against Zeppelin raids but was transferred to the RFC in 1916 for training use. 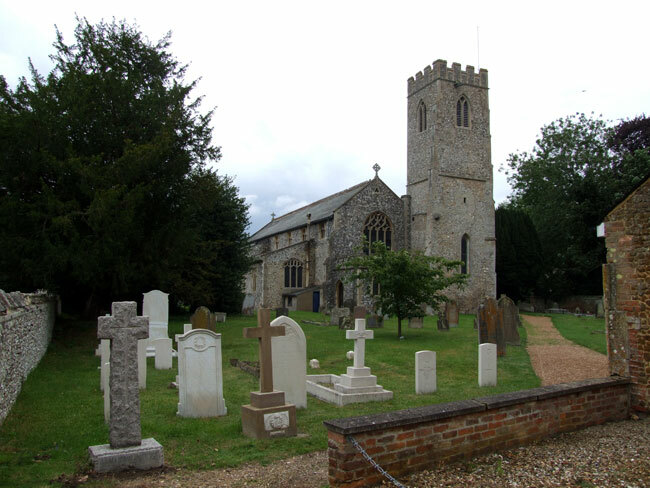 We are very grateful to Richard Roberts (<richard.nsw@googlemail.com>) for providing photographs and information on Narborough All Saints' Churchyard. 2nd Lieutenant Ernest Hildreth. RFC, formerly 14th Battalion the Yorkshire Regiment. Son of Henry Havelock Hildreth and Eliza Hildreth; husband of Eleanor Green (formerly Hildreth), of Wood Royd, Ben Rhydding, Yorks. Born at Middlesbrough. Killed 18 October 1916. Aged 28. "2nd Lieutenant Ernest Hildreth was seconded from the 14th Battalion the Yorkshire Regiment as an Observer. During work-up training with 35 Squadron before deployment to France he was killed in a crash at Narborough on 18 October 1916 when the engine of his RE7 aircraft failed. The pilot survived the crash." This is a view of the small war graves section of the churchyard where all the WW1 airmen who served at Narborough Aerodrome are buried. The inscriptions on all the private memorials indicate that the men were killed in flying accidents. Ernest Hildreth's headstone is second from the right in the photograph. The plaque located in the churchyard of All Saints' Church, Narborough, that commemorates those who served at Narborough Aerodrome.